Nostradamus is widely believed to have predicted the rise of Napoleon and Hitler – he also foresaw the coming of a third such Antichrist. In this revelatory new book, renowned Nostradamus scholar Mario Reading delves into the quatrains relating to this figure and reveals who the third Antichrist could be and when he will rise. Although many people know that Nostradamus prophesied the coming of the three Antichrists allegedly foretold in St John’s Epistles (and also, in the guise of the Beast, the Dragon, the False Prophet, and the Whore of Babylon, in Revelation), they don’t know who the first two Antichrists were, nor who the third will be when his time comes. This book will answer those questions. Nostradamus differs from the Biblical Book of Revelation in his emphasis that there are three Antichrists, and not simply one. 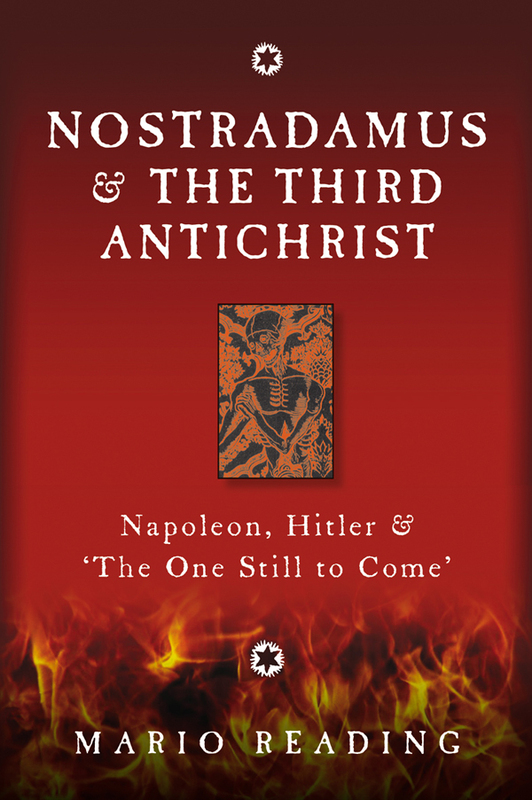 Reading believes that Nostradamus intended his concept of the three Antichrists to act as an evil mirror image of the Holy Trinity, and designed this as a possible three-stage build up to Armageddon. He concludes that Nostradamus intuited that all three Antichrists would be supra-national, in the sense that their actions would affect the whole world — and not simply their own countries.